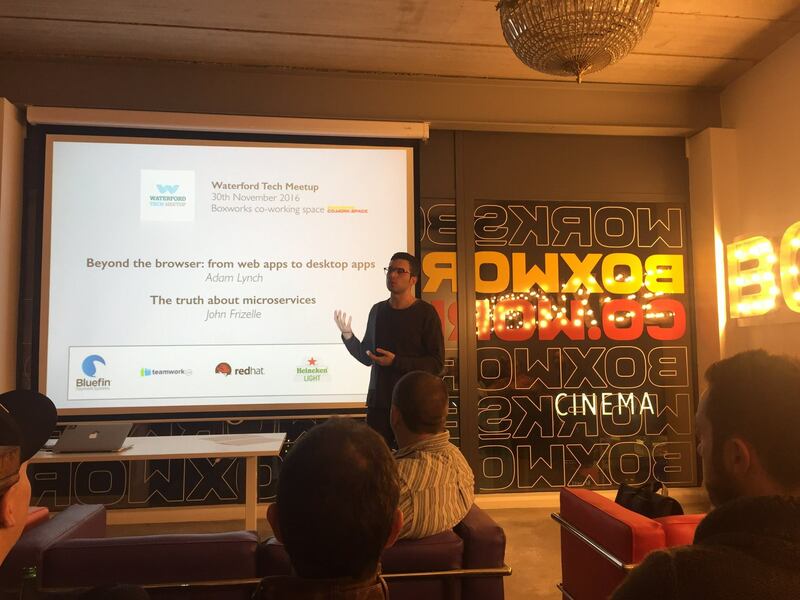 Founded in January 2016, BOXWORKS.CO.WORK.SPACE is a coworking space for the tech and creative industries, a hub for smart-thinking entrepreneurs, startups and ambitious small businesses. It is geared for communication and interaction and is the alternative to a dreary and lonely home office or the rowdy cafe scene. 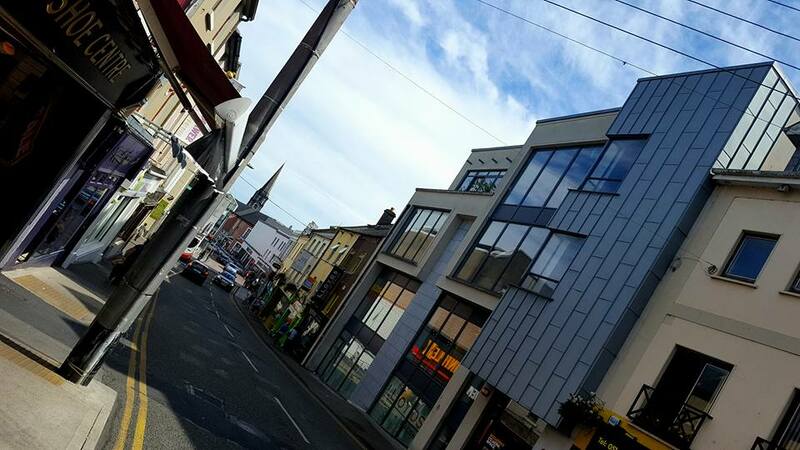 Sitting in the heart of Waterford City close to everything, the venue is easy to find whether you are walking, riding a bike, coming by car or using public transport. Professional and yet relaxed, the community is made up of individuals committed to hard work, collaboration and business sustainability. The coworking space has all of the resources you will need and events are designed to provide ample opportunities for networking with your talented and inspiring peers. "I have only been at my desk for a week, and as a start up with one employee I now feel a part of a bigger team. It is a great space to be creative and bounce ideas off other people that are sharing the space." "The new business Hub in the South East - the centre for new startups." Boxworks will tailor make the space to suit your needs from flexi coworking to full-time desks in an open area to private offices. Common areas include boardrooms, lounge areas, meeting rooms, an event space and a kitchen to whip up a gourmet snack when the hunger pangs strike. The state-of-the-art work environment is designed to be affordable, simple to use and geared towards today's connected world by offering a low-cost, low risk, no lease, flexible workspace for energetic professionals and entrepreneurs. The co-working doors are open from 8 am to 5 pm for members, unless you join on a fixed basis, which will give you 24/7 access to your private desk or office. Are you a member of BOXWORKS.CO.WORK.SPACE? A great atmosphere to work in, we are an architectural practice and if give us a great base to work within our own door office and also open plan space to expand in as we require it for project requirements. It has great shared facilities, kitchen, meeting rooms and more importantly a super atmosphere and great people to work alongside. 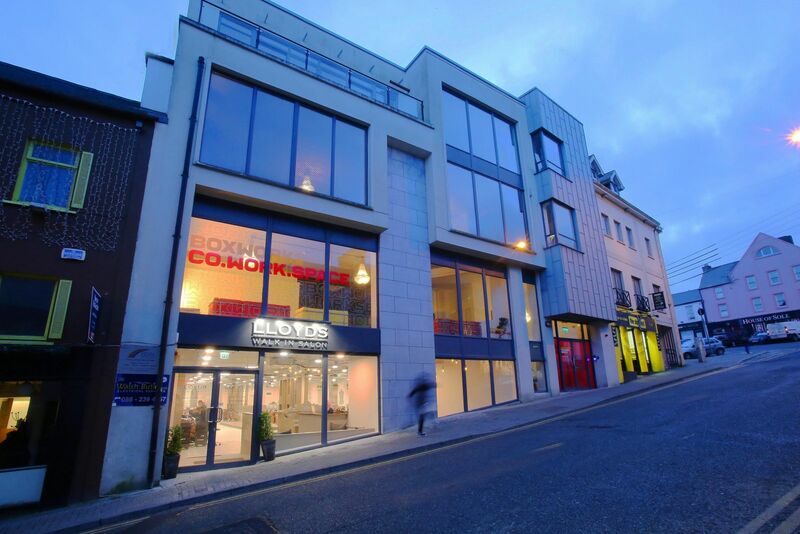 Located in the heart of Waterford City giving us all the advantages of the City Center but an oasis within the city environment to escape to. 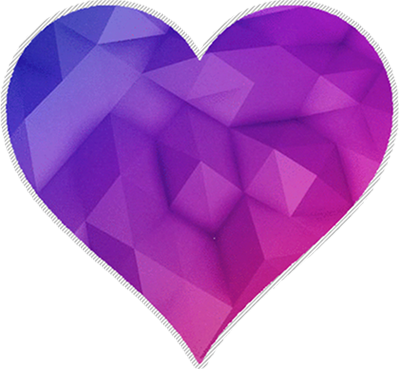 We couldn't recommend Boxworks highly enough as we approach our first year here, and looking forward to many more years to come. 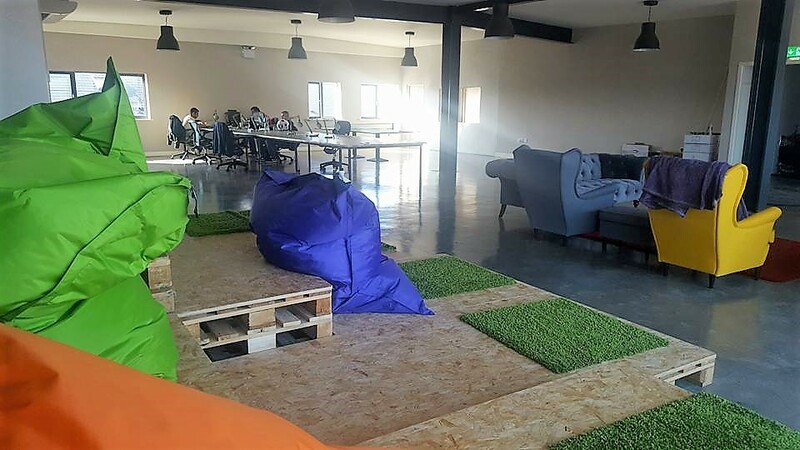 "A Hub To Invigorate A City"
Boxworks is a warm welcoming space made up of a supergroup of Waterford's start-ups. The one thing that strikes you upon first impression is the collaboration between each member and the extra drive each business gets knowing all members want the rest to succeed. 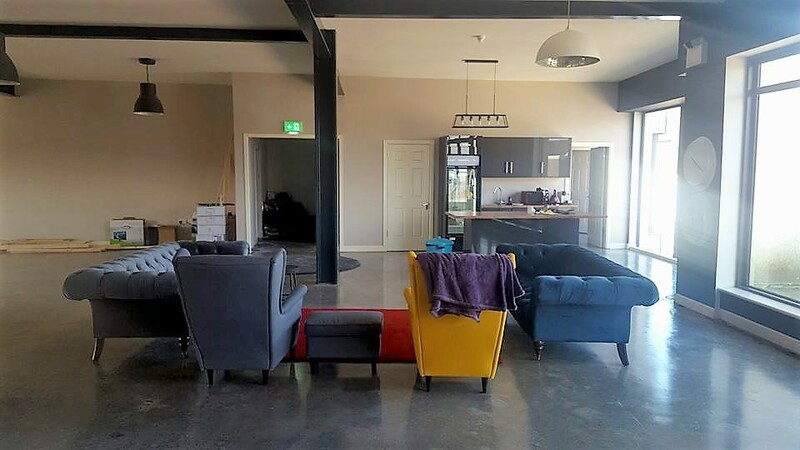 The colours throughout were no doubt painstakingly chosen to compliment the energy for each space, with the furniture perfectly threading the line between modern stylish and comfort. It's location on Patrick Street makes it perfect for meetings, and brighten up the surrounding area. One personal fondness is the art that decors the walls, and the old time phone booth. Their regular events have a broad appeal and it will no doubt continue to grow, and produce some of the regions and country's best and brightest businesses. "Professional, Creative & Supportive Space"
Everything about Boxworks is outstanding, from the design to the services, the people to the coffee machine. Everything about Boxworks is outstanding, from the design to the services, the people to the coffee machine. Everything about Boxworks is outstanding, from the design to the services, the people to the coffee machine. Everything about Boxworks is outstanding, from the design to the services, the people to the coffee machine. Everything about Boxworks is outstanding, from the design to the services, the people to the coffee machine. Everything about Boxworks is outstanding, from the design to the services, the people to the coffee machine. 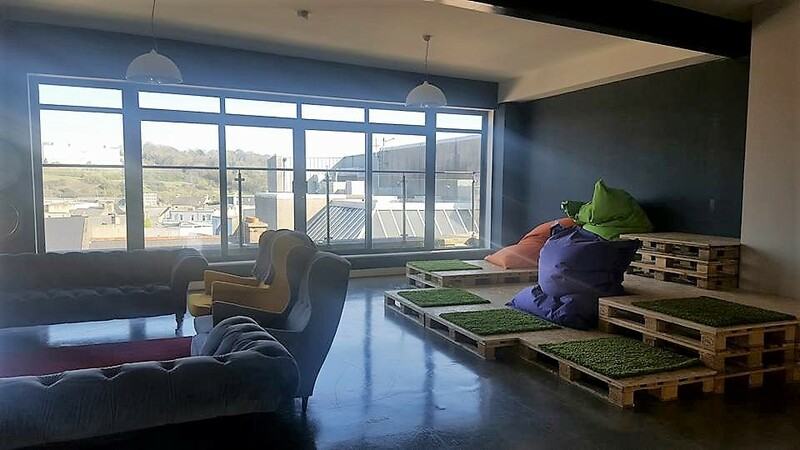 "COOL SPACE - WELCOMING VIBRANT SPACE"
"Raising the bar for office space and co-working in Waterford"
We decided to join Boxworks having spent the first year of our new business in a large building in which we were the only tenants. Moving there has been the best decision we have made while still growing our architectural practice. Emer keeps the place spotless and the décor is professional and modern which makes it so easy to spend a lot of time there and meeting other like-minded professionals has been great. Not having to worry about heating or who forgot to get coffee or even needing a key to access the building has been invaluable; not to mention coming in to a beautifully designed space every day. Thank you so much for this Karen & Ronan ..it is great to hear an architects firm give us the thumbs up for the interiors..and the coffee! 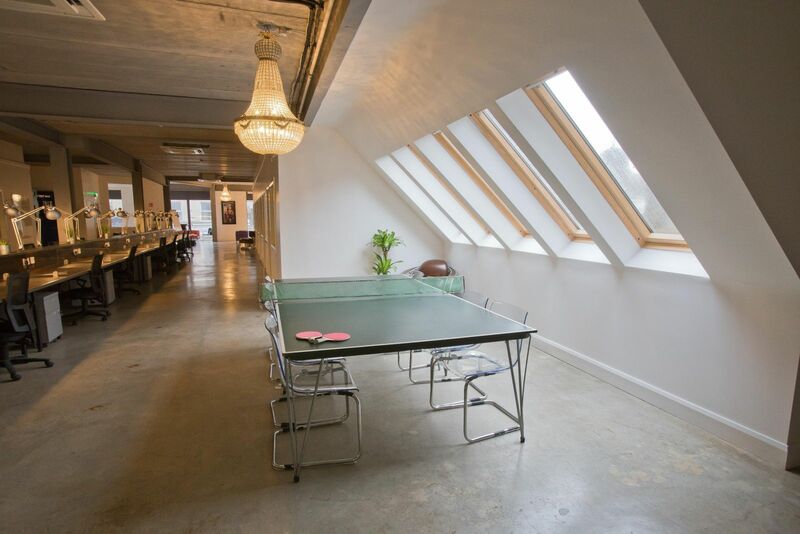 "Great space, great people and great location." I chose Boxworks as a base for my fintech startup because I believe in the vision Jim and Emer have for their space. Its been a pleasure being part of this community and getting to know other members. The space speaks for itself, well designed, nice artwork and nicely finished desks, The location is fantastic with a choice of great places to grab lunch on the go and the 10 euro/week deal on parking close by makes it very convenient for me. I can pop in and out of the office multiple times a day and get on the road to meet clients without having to worry about getting a parking fine in between. Every so often we gather around the ping pong table on a Friday evening for a few beers and pizza to unwind after a busy week. 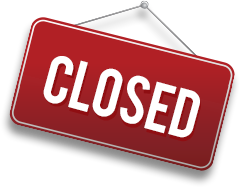 You have been a great supporter of our cowork space & it's success since we opened. We are delighted to have Tucr as one of the companies on board with Boxworks. "Best decision I've made was joining"
I joined Boxworks on a scholarship desk, having worked from home for ages. I wasn't sure if I could justify an office, but I quickly understood the benefits. It's not about the space (which is gorgeous); it's not about the facilities (which are perfect...think the Tesla of coffee machines, fabulous offices, nice lighting, cool leather couches, table tennis table); it's not about the meeting rooms or the location, though both are impressive and convenient. For me, it's about the community of creative, like-minded, warm and funny people. It's about the opportunity to bounce ideas around, share business connections and help each other out. I moved into my own office a month ago, and it's been the best decision I've made for my communications consultancy. It's the very best of working alone working together. Thank you for this review Jennifer..it really is the review that communicates why cowork environments are one of the most successful spaces for sharing, creating, bouncing ideas, and belonging to a community, which allows you to grow but also gives you that personal space to work alone if needed. Love this, thank you! "This Box really works! " 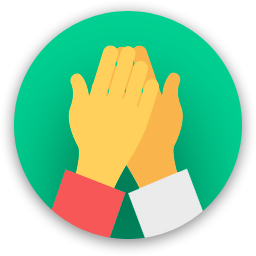 Boxworks is a great place to work, we are a team of 3 working very productively in the space and surrounded by a great community of coworkers all pursuing different goals but in a supportive and friendly environment. 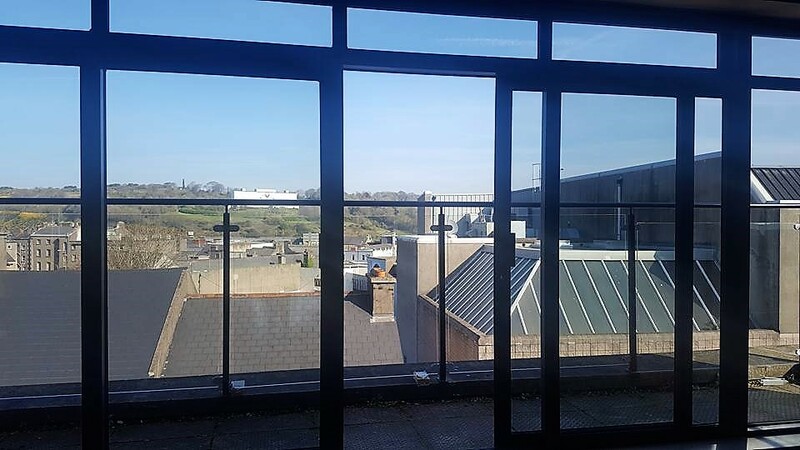 The space itself is super with great facilities and a great place to bring clients, both current and new, to meet right in the middle of Waterford City Centre. "Love it here :) "
Absolutely love our new office space at Boxworks. 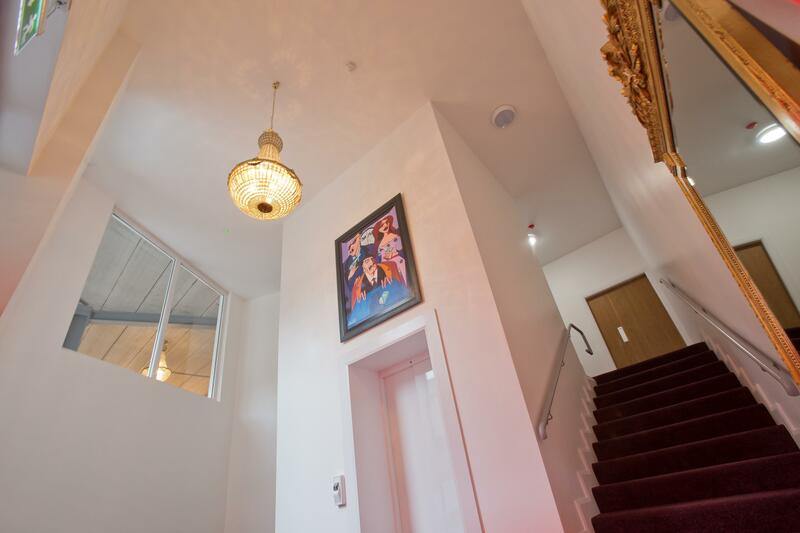 Centrally located in the city centre with amazing facilities, the community aspect is second to none with a great mix of businesses which go out of their way to help one another. Media Helm was our very first official cowork member in 2016 who believed in this space from the beginning and has been a driving force in this space, NEVER missing an opportunity to promote BoxworksCo.Work.Space ..
Boxworks firstly is supportive, collaborative, professional and friendly. It's also a very cool place to work - the space being short-listed for best design in Ireland. Atmosphere is warm, conducive to hard work, amenities including wifi are great even down to the coffee machine. Natalie Cooke Consulting has just recently joined our cowork team here at Boxworks and is already collaborating with other members withing the space. She has an amazing cowork spirit ..exactly the type of entrepreneur that we love to have working from this cowork space..
great restaurants and cafes right at the doorstep and private parking facilities nearby. Ask Emer to show you around, you'll feel like you're in a happy working collaborative space immediately. comfortable space, great internet speeds, loads of places for lunch & coffee on the street - €10 per week parking!!! Head to Momos next door for a grab and go! BOXWORKS.CO.WORK.SPACE will be in touch with you soon to confirm. 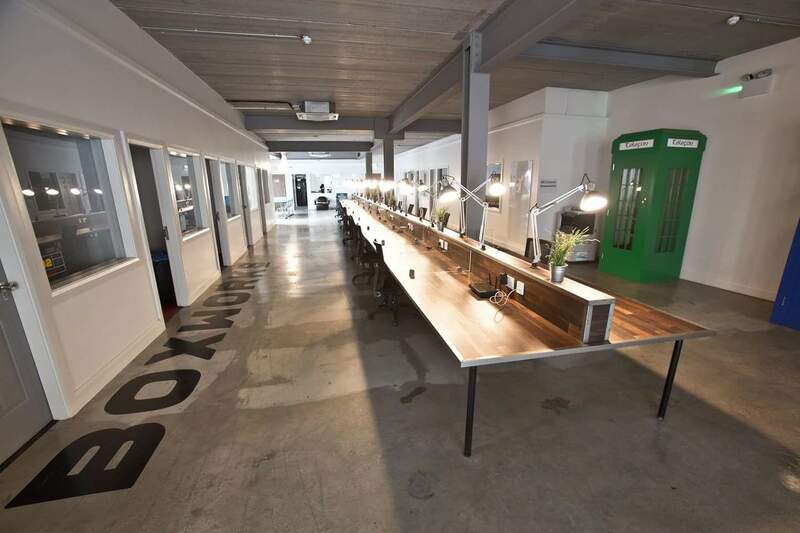 BOXWORKS.CO.WORK.SPACE has received your membership enquiry and will be in touch with you soon.